Thank you for visiting pestcontrol-mcallen.com. The pestcontrol-mcallen.com Web site has been made available to you subject to your compliance with the terms and conditions set forth below (the “Conditions of Use”). Please read this document carefully before accessing or using the pestcontrol-mcallen.com Web site. By accessing or using this Web site, you are agreeing to be bound by the Conditions of Use. If you do not wish to be bound by the Conditions of Use, you may not access or use the Web site. pestcontrol-mcallen.com reserves the right to change the terms, conditions and notices at any time, and such modifications shall be effective immediately upon posting of such changes. You are therefore responsible for regularly reviewing these Conditions of Use and additional terms or notices posted on the pestcontrol-mcallen.com Web site. Your continued access of this Web site shall be deemed your conclusive acceptance of the modified agreement. When you visit pestcontrol-mcallen.com or send e-mails to us, you are communicating with us electronically, and thereby consenting to receive communications from us electronically or by other means available. We will communicate with you electronically, by telephone or by facsimile. It is further understood that all agreements, notices, disclosures and other communications that we provide to you electronically satisfy any legal requirement that such communication be in writing. The entire contents of this Web site, including but not limited to: Text, graphics, logos, button icons, Flash movies, images, audio clips, digital downloads, data compilations and software, are the property of pestcontrol-mcallen.com, its content suppliers or its clients and are protected by Domestic and International copyright and trademark laws. You may not modify, copy, reproduce, republish, upload, post, transmit or distribute any portion of the Web site contents without the prior express written consent of pestcontrol-mcallen.com. You may print or download portions of the materials from various areas of this Web site solely for your own non-commercial use provided that you agree not to change or delete any copyright or proprietary notices from the materials. If you believe any content appearing on our Web site constitutes a copyright infringement of another parties rights, please contact us immediately at webmaster@pestcontrol-mcallen.com to notify us of this infringement. Your submissions of files including, but not limited to: Resumes, e-mail, flash movies, images, logos, audio loops and other software hereby constitutes your agreement to grant pestcontrol-mcallen.com a non-exclusive, royalty-free, worldwide, sub-licensable, perpetual license to reproduce, distribute, transmit, modify, adapt, sub-license and publicly display any such submissions. 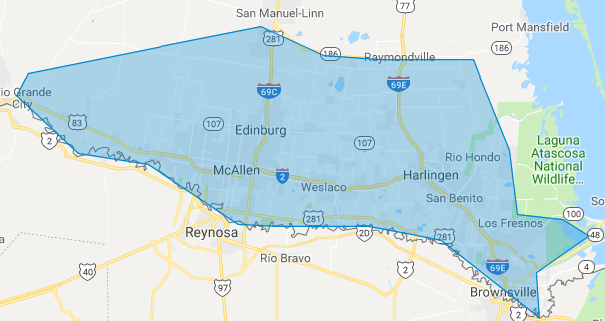 You also grant pestcontrol-mcallen.com the right to utilize your name in connection with all advertising, marketing and promotional materials related thereto. pestcontrol-mcallen.com grants you limited license to access and make personal use of this Web site and not to download (other than for page caching purposes) or modify it, or any portion of it, except with the express written consent of pestcontrol-mcallen.com. This Web site or any portion of this Web site may not be reproduced, duplicated, adapted, copied, sold, resold, transmitted or otherwise exploited for any commercial purpose without the express written consent of pestcontrol-mcallen.com. You may not frame, or use any framing techniques to enclose any trademark, logo or other proprietary information (including images, text, flash movie, page layout or form) of pestcontrol-mcallen.com without the express written consent of pestcontrol-mcallen.com. You may not use META tags or any other “hidden text” which utilize pestcontrol-mcallen.com or any other derivative of our domain or company name without the express written consent of pestcontrol-mcallen.com. You are hereby granted a limited, revocable and nonexclusive right to create a hyperlink to the home page of pestcontrol-mcallen.com so long as the link does not portray any false, misleading, derogatory or otherwise offensive matter. It is further understood and agreed that pestcontrol-mcallen.com cannot and does not guarantee or warrant that files made available for downloading through the pestcontrol-mcallen.com Web site will be free of infection or viruses, worms, Trojan horses or other code that manifests contaminating or destructive properties. It is your responsibility for implementing sufficient safeguards and procedures to ensure that any files obtained through pestcontrol-mcallen.com are free from such contaminations. THIS WEB SITE AND RELATED INFORMATION IS PROVIDED BY PESTCONTROL-MCALLEN.COM ON AN “AS IS” AND “AS AVAILABLE” BASIS. PESTCONTROL-MCALLEN.COM MAKES NO EXPRESS OR IMPLIED WARRANTIES, REPRESENTATIONS OR ENDORSEMENTS OF ANY KIND, OR AS TO THE OPERATION OF THIS WEB SITE OR THE INFORMATION, CONTENT, MATERIALS OR PRODUCTS INCLUDED ON THIS WEB SITE. YOU EXPRESSLY AGREE THAT YOUR USE OF THIS WEB SITE IS AT YOUR SOLE RISK. 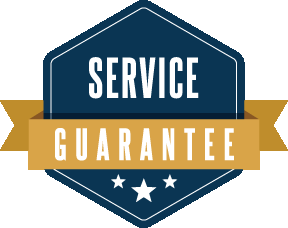 TO THE FULL EXTENT PERMISSIBLE BY APPLICABLE LAW, PESTCONTROL-MCALLEN.COM DISCLAIMS ALL WARRANTIES, EXPRESS OR IMPLIED, INCLUDING WITHOUT LIMITATION, IMPLIED WARRANTIES OF MERCHANTABILITY AND FITNESS FOR A NCRTICULAR PURPOSE. PESTCONTROL-MCALLEN.COM DOES NOT WARRANT THAT THIS WEB SITE, ITS SERVERS, OR E-MAIL SENT FROM PESTCONTROL-MCALLEN.COM ARE FREE OF VIRUSES OR OTHER HARMFUL COMPONENTS. PESTCONTROL-MCALLEN.COM WILL NOT BE LIABLE FOR ANY DAMAGES OF ANY KIND ARISING FROM THE USE OF THIS SITE, INCLUDING, BUT NOT LIMITED TO DIRECT, INDIRECT, INCIDENTAL, PUNITIVE AND CONSEQUENTIAL DAMAGES. PESTCONTROL-MCALLEN.COM USES REASONABLE EFFORTS TO INCLUDE ACCURATE AND UP-TO-DATE INFORMATION ON THIS Web SITE. PESTCONTROL-MCALLEN.COM ASSUMES NO LIABILITY OR RESPONSIBILITY FOR ANY TYPOGRAPHICAL OR OTHER ERRORS OR OMISSIONS IN THE CONTENT OF THIS SITE. IN THE EVENT THAT A PRODUCT IS LISTED AT AN INCORRECT PRICE OR WITH OTHER INCORRECT INFORMATION, PESTCONTROL-MCALLEN.COM SHALL HAVE THE RIGHT TO REFUSE OR CANCEL ANY ORDERS PLACED FOR THE PRODUCT LISTED INCORRECTLY. Linked Web sites are not under the control of pestcontrol-mcallen.com and pestcontrol-mcallen.com is not responsible for the contents of any linked site or any link contained in a linked site. pestcontrol-mcallen.com provides links to you only as a convenience, and the inclusion of any link does not imply or constitute an endorsement by pestcontrol-mcallen.com of the site. Any dispute relating in any way to your visit or access of the pestcontrol-mcallen.com Web site or to the products or services you purchase through the pestcontrol-mcallen.com Web site shall be submitted to binding arbitration. 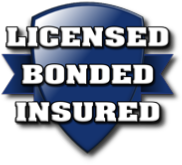 You agree to indemnify, defend and hold harmless pestcontrol-mcallen.com, its officers, directors, owners, partners, employees, agents, licensors, suppliers and any third party information provider to the Web site from and against all losses, expenses, damages and costs, including attorney’s fees, resulting from any violation of these Conditions of Use (including negligent or wrongful conduct) by you or your use and access of the pestcontrol-mcallen.com Web site. pestcontrol-mcallen.com‘s failure to insist upon or enforce strict performance of any provision of these Conditions of Use shall not be construed as a waiver of any provision or right. Neither the course of conduct between the parties nor trade practice shall act to modify any provision of these Conditions of Use. pestcontrol-mcallen.com may assign its rights and duties under these Conditions of Use to any party at any time without notice to you. If any of these conditions shall be deemed invalid, void or, for any reason, unenforceable, that condition shall be deemed severable and shall not affect the validity or enforceability of any remaining condition. Any rights not expressly granted herein are reserved.